It is often said that “death comes in threes,” and while there have been thousands of deaths due to natural or unnatural causes across America this week, three in particular have shaken me to the core and render me reflective as I begin what we Christians refer to as “Maundy Thursday,” the day in which Jesus Christ’s own physical death began during a slow and gruesome peregrination towards Calvary. 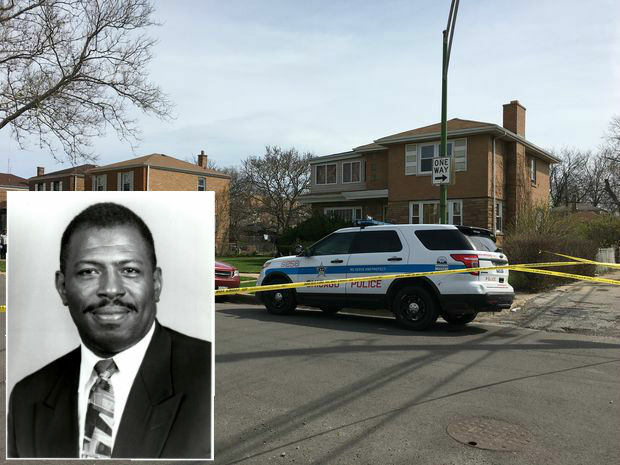 This past Monday morning, Chicago criminal court Judge Raymond Myles was murdered in an apparent robbery outside of his home. Later that day, Karen Smith, a special education teacher in San Bernardino, California, was shot by her estranged husband Cedric Anderson while teaching her class. Anderson also shot and killed eight year old Jonathan Martinez before turning his weapon on himself and ending his life before he could face justice. Last, on Wednesday, authorities discovered the body of Justice Sheila Abdus-Salaam, a trailblazing legal giant who bore the distinction of being the first Muslim woman to be named a judge in American history. Nota Bene—authorities are awaiting the results of an autopsy to determine the proximate cause of her death. One week, two incidents with three deaths that are a direct result of wanton violence, and a third where we await the final determination of whether it was murder, suicide or natural causes. As to the judges who lost their lives this week, it is important to note that in an age in which many Americans pay homage to the risks that law enforcement officers take to protect and serve and the incidents of substance abuse and depression among the same, few pay any particular notice to the risks that lawyers, particularly criminal lawyers and judges, face on a daily basis. 17 years ago this week, I was sworn into the Florida Bar and during that time, I have seen instances where lawyers handling family cases were shot and/or murdered. I cannot help but recall an incident back in 2005, when Chicago Federal Judge Joan Lefkow’s 65-year-old lawyer husband and 90-year-old mother were shot and killed purportedly for retribution. It is for this reason that I never laugh at the Shakespearean “First…let’s kill all the lawyers” jokes, nor did I take it lightly when President Donald Trump derided “so-called judges” earlier this year, because I know that death is a clear and present danger for jurists and lawyers being stalked by fools who lack good judgment. Because of that, my heart aches for Judge Myles because somewhere deep down inside, I am always wary that some disgruntled current or former client may step to me in the same way. As one who handles capital murder and drug trafficking cases regularly, I have on more than one occasion had to warn a violent former felon that I would not hesitate to avail myself of Florida’s “Stand Your Ground” laws to protect myself, my office or my loved ones. Separately, I do not need to see the charts that chronicle how alcohol and substance abuse are staples for some lawyers dealing with depression, because roughly 14 years ago, my good friend and office suite mate, attorney Jason Savitz, took his own life after battling his internal demons for years. As such, while authorities so far have ruled out homicide in Justice Abdus-Salaam’s death, while her passing may have been a sudden heart attack or stroke while walking near the Hudson River, should the death be ruled a suicide at some point, I would be saddened but not surprised because so many lawyers and judges wrestle with ending it all each and every day despite putting on public faces of being happy. Similarly, with the majority of my family members being retired educators or still serving in that profession, the news that Karen Smith was shot and killed in her classroom by her estranged (and judging from his bizarre Facebook posts, “strange”) husband Cedric Anderson, serves to remind us all that the worst form of terrorism in these United States is domestic terrorism–period! Building a wall and “extreme vetting” of all Muslims will not cause a dent in the thousands of Americans killed by other Americans–including the police—each year. For women, the worst terrorists typically are controlling, abusive and manipulative husbands and boyfriends who simply refuse to let go. As a black man who knows full well that most violent crimes are intra-racial, I know that Sisters like Smith are far more likely to be killed by Black men; I cannot call any controlling, abusive and manipulative Black man a “Brother,” because such “men” have not earned that level of respect. If there is any silver lining in these high-profile deaths, it is for us to recognize that neither fame, nor lucre or seeming success prevents the premature killings of Black people at the hands of other Blacks. Yes, I said it, by other Blacks and as one who screams #BlackLivesMatter when the death is caused by a non-Black, I would be a hypocrite if I did not address the issue when “we” are killed by “us.” Admittedly, it is easier to get indignant when a non-Black police officer murders a Black man, woman or child under suspect circumstances. But it is vitally crucial that we address the violence within our communities and our homes because the stats do show that our lives, the ones that do matter, continue to matter less to those who look like us or claim to love us.